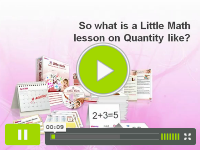 With lessons on quantity, you can help your child understand the reality of numbers (instead of just the symbols - 1, 2, etc. - that represent them). 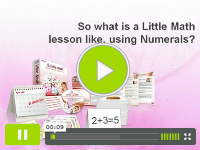 This will give your child a deeper understanding of mathematical concepts! Use icons, the numeric symbols of the number or written words to teach mathematical operations. Depending on your child's level of learning, you can teach simple two-step equations, and advance to using up to 5 integers for operations. Make lessons exciting and stimulating by changing the font type, font color, and background color for the icons and the numerals which appear on your screen. 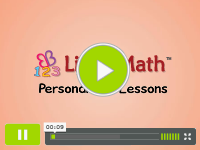 Randomizing the playback settings - Your baby will see different pictures, hear different pronunciations and learn randomized numbers for every lesson! Personalize your math lessons by using photos of your family, objects around your house, or even your child's favorite toy as icons! 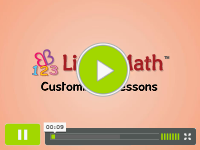 Attach your own icons - your child will enjoy her math lessons even more when she sees icons which she can relate to.